Crab Apples (Malus) can have a multitude of uses in the garden. Many people enjoy a crab apple tree for their pretty white or pink blossom in spring and the colourful fruit in the Autumn and Winter. As a small growing tree, generally no more than 5m in height, it is perfect for any size garden. Malus ‘Golden Hornet’ is an excellent pollinator for fruiting apples as it’s long flowering period crosses many of the pollination groups of fruiting apple trees. It also has decorative small yellow fruits in Autumn. If you enjoy making Crab Apple Jelly then the larger, fleshier fruits are a good option, Malus ‘John Downie’ has always been a popular choice for making crab apple jelly. 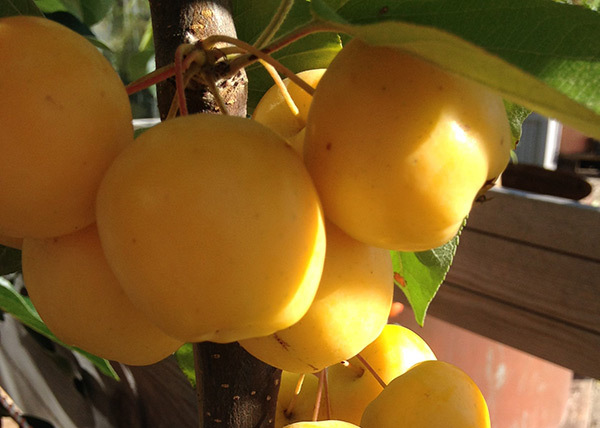 Malus ‘Butterball’ can also be used. For more winter interest the fruits of Malus ‘Evereste’ are late to mature and persist well into winter often late into December and even January and provide a great source of food for birds in the cold weather. For interesting foliage try Malus ‘Profusion’, it has dark purple red emerging foliage and an interesting lobed leaf shape.